It’s a spinnerly kind of weekend here at Knitting Fairy. 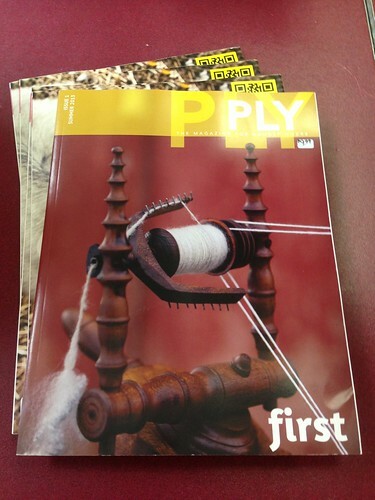 The premiere issue of Ply Magazine has arrived! Many of us have been waiting eagerly since the Kick-Starter campaign this past winter to see what the latest magazine in the spinning world would have to offer and we are not disappointed! We are so excited here at Chez Fairy that we decided to make PLY the very first magazine we were offer for sale here in the shop! The reason? You can’t buy it on newstands yet and this great start up deserves our support. 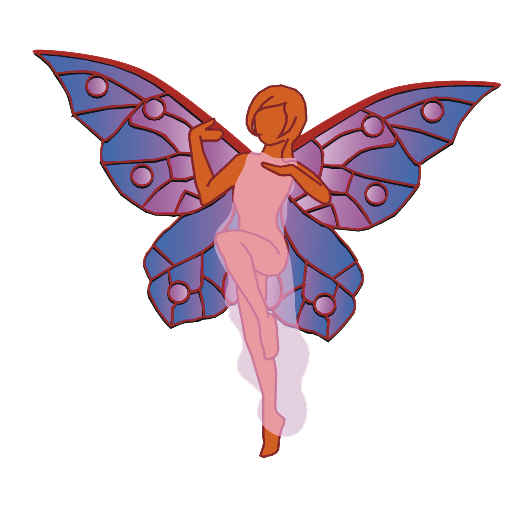 And SUNDAY (This Sunday, June 23rd) Mary of Butterfly Girl will be doing her very popular Va-Va Voom! Class for us. There are two spots remaining and no homework for this class. All you need is a spinning wheel (one with a Jumbo Flyer or Delta flyer will be your best choice, but most of the techniques are possible on a wheel with a smaller orifice) and 4-6ounces of fiber. The class is This Sunday, June 23rd from 1-3pm. The cost of the class is $20 and there is a kit fee of $18 which will get you all the bits and bobbles you will be adding to your spun yarns. Call the shop today to reserve your spot! (214)412-2889. In July, Mary will be teaching her latest class on Corespinning. That class will happen on July 14th from 1-4pm and you do have some supplies you will need to purchase as well as a kit fee for that one. The cost of the corespinning class is $30 and the kit fee is $10 which will provide you with your core yarns. The supplies list you will need to provide will be given to you when you sign up. There are 3 spaces left in this class.